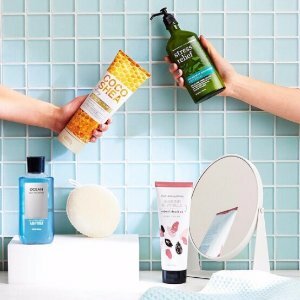 Bath & Body Works offers 20% off SItewide via coupon code "WONDERLAND". Plus, buy 3 get 3 free. $5.99 Flat Rate Shipping is available for orders exceeding $10. Bath & Body Works offers an Buy 2 get 1 or buy 3 get 3 free. Shipping fee is $5.99 or free shipping on orders over $40, via coupon code "CYBERMON". Bath & Body Works offers today only! $2.50 Hand Soaps via coupon code "HIGHFIVE". 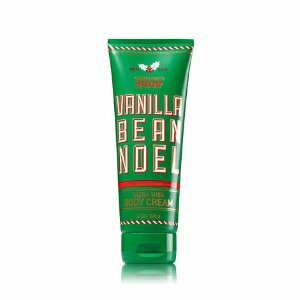 Bath & Body Works offers Shower Gel and Body Wash for $3.95 each. Plus, extra 20% off, via coupon code "FESTIVE". $5.99 Flat Rate Shipping is available for orders exceeding $10.00. 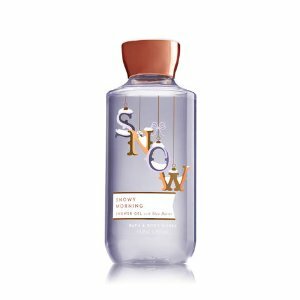 Bath & Body Works offers an buy 3 get 2 free + $10 Off $30 Signature Body Care via coupon code "SNOWFALL". 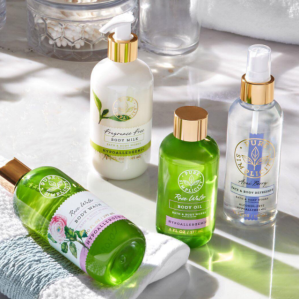 Bath & Body Works offers an buy 3 get 3 free Signature Body Care via coupon code "GREETINGS. Free shipping on orders over $25 via coupon code "YAY25". Bath & Body Works offers the Shimmer & Cheer Body Care for $5.95 via coupon code "TWINKLE". 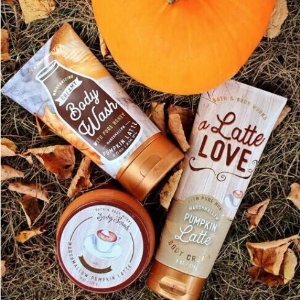 Bath & Body Works offers 20% Off Sitewides, via coupon code "TREATS20". 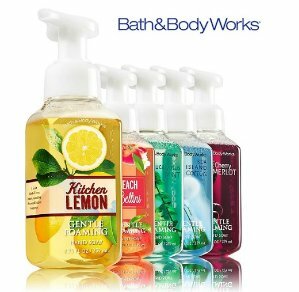 Bath & Body Works offers buy 3 get 3 free Sale via coupon code "APPLEPICK". 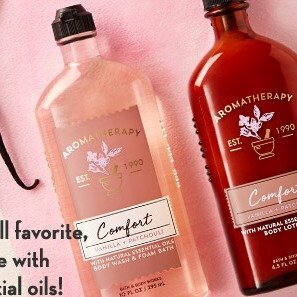 Bath & Body Works offers full size body wash and body lotion with any purchase via coupon code "COMFORTING". 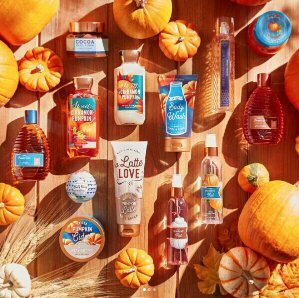 Bath & Body Works offers buy 3 get 2 free + $10 off $30 Bath & Body Works Body Cares. Plus, $10 Off $30, via coupon code "BESTFALL". 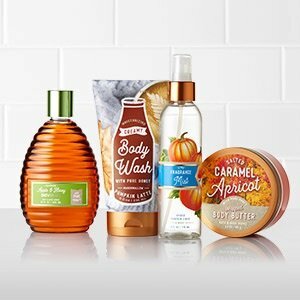 Bath & Body Works offers 25% off + buy 3 get 3 free Body Care Products via coupon code "GOODIES". 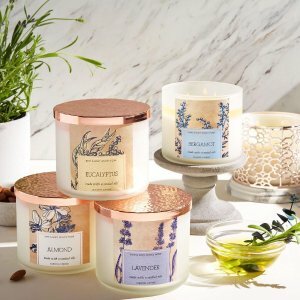 Bath & Body Works offers buy one get one free + $10 off $30 3-Wick Candle via coupon code "FLIPFLOPS". 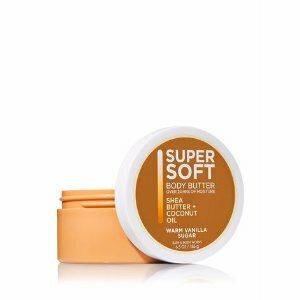 Or extra 20% off via coupon code "SUNNY20". 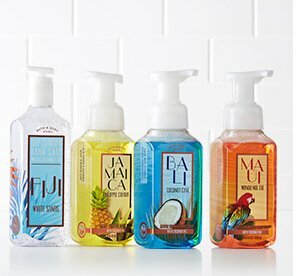 Bath & Body Works offers Select Hand Soaps for $3. Free Shipping on orders over $30 via coupon code "JUSTDUCKY". 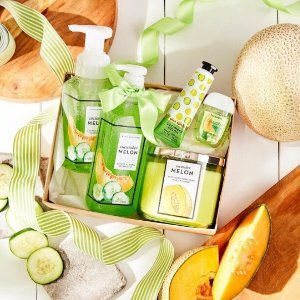 Bath & Body Works offers 20% off $25 sidewide ​via coupon code "STOCKUP". 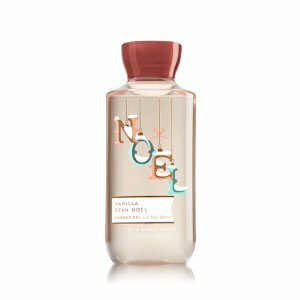 Bath & Body Works offers $10 off $40 sidewide via coupon code "ILOVESALE". Shipping fee is $5.99 or free shipping on orders over $30 via coupon code "HURRY". 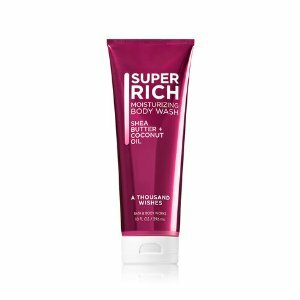 Bath & Body Works offers $10 off $30 with sidewide via coupon code "COTTONTAIL".